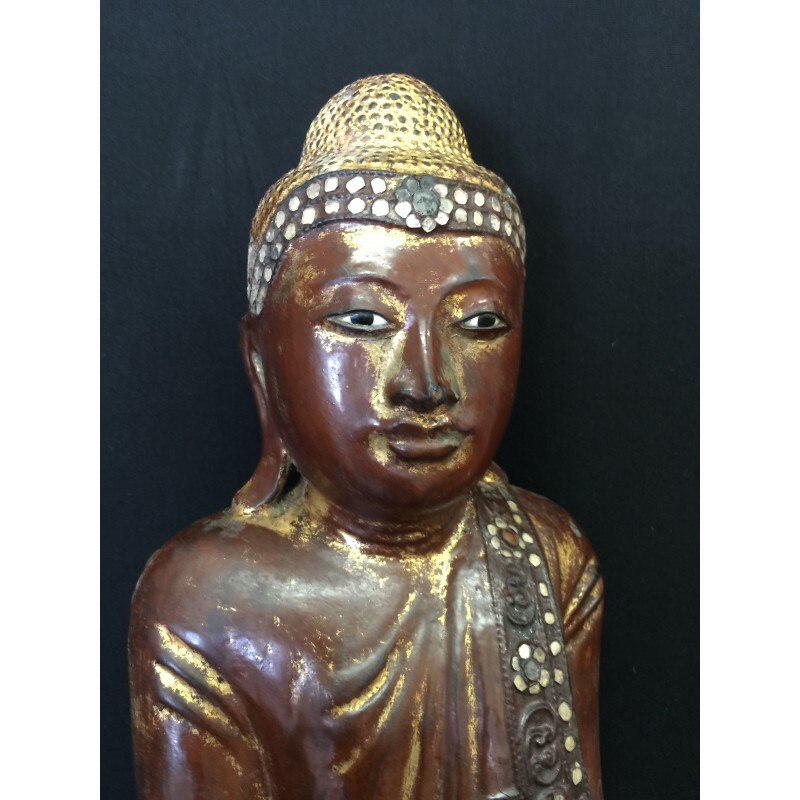 Standing Mandalay Buddha from Burma. 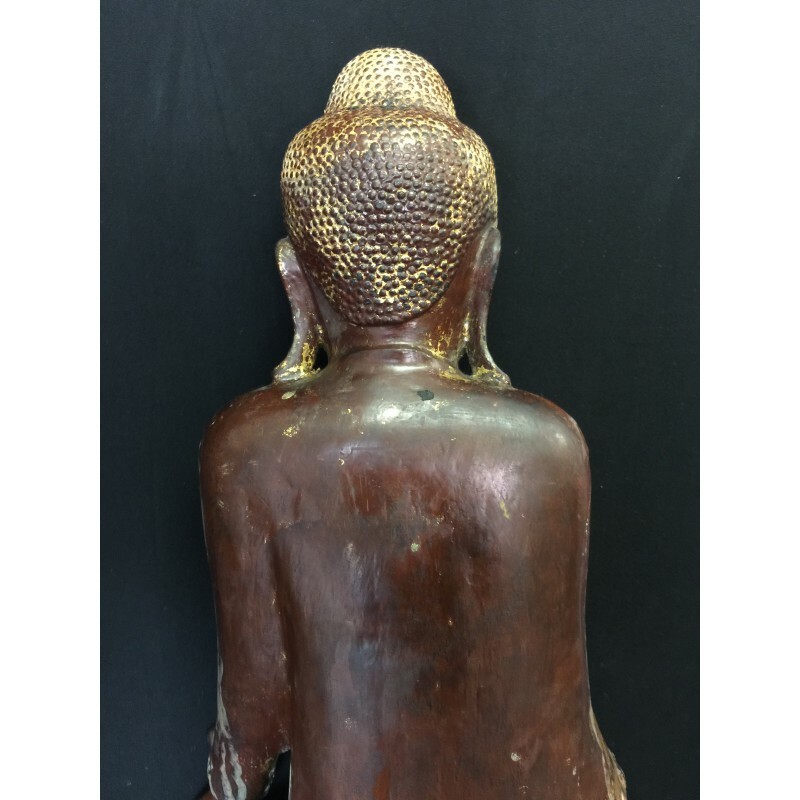 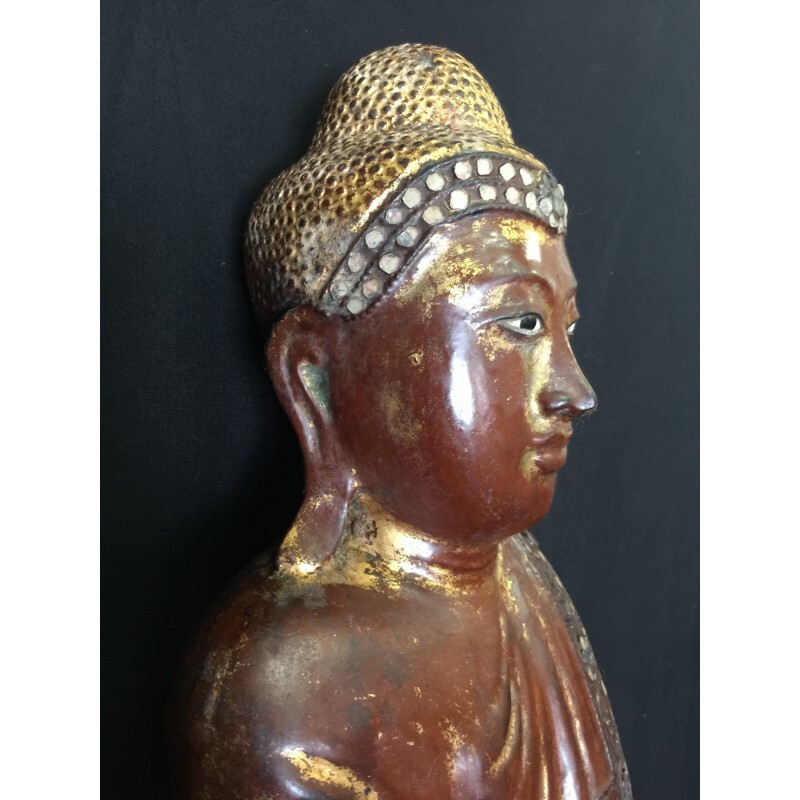 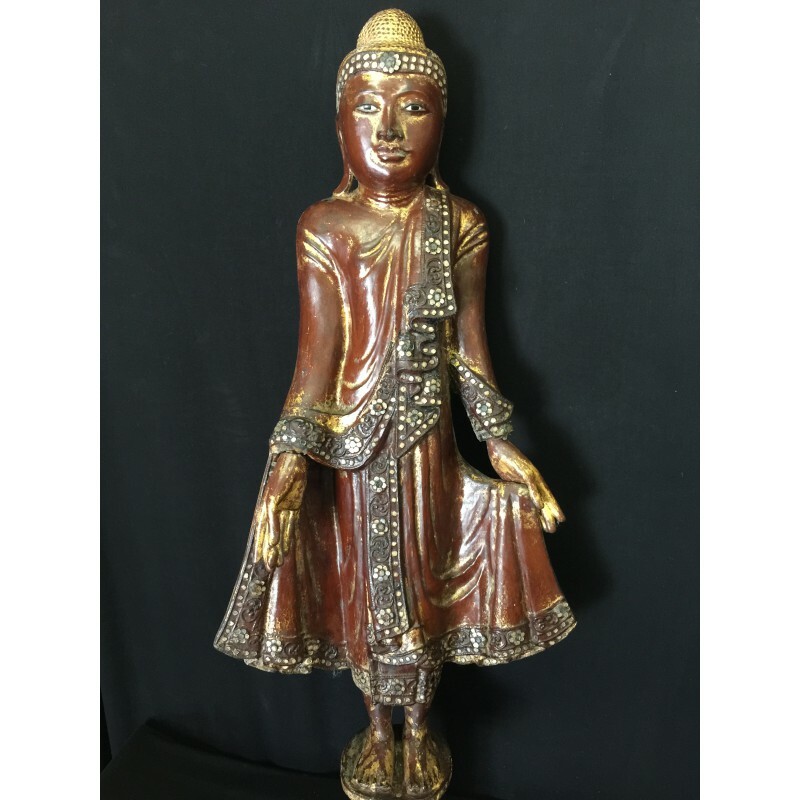 This Buddha has a serene face with a nice stoneinlay hairband, eyes looking foreward and is carved in wood and has been lacquered and painted with red and brown colors. 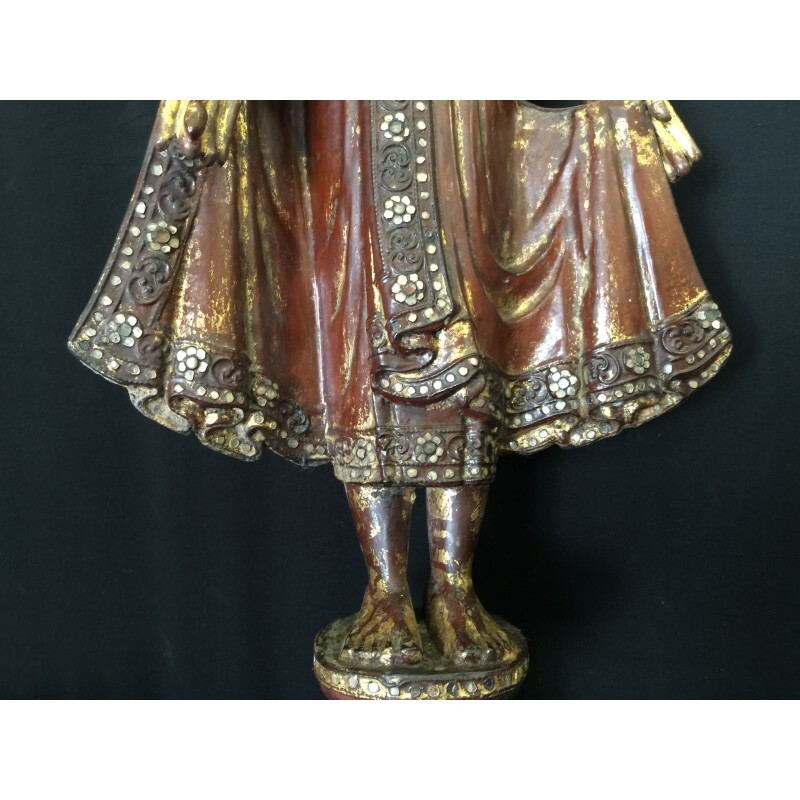 His full decorated robe has a lot of stone inlay and flow over his chest and legs. Standing on a wooden base. 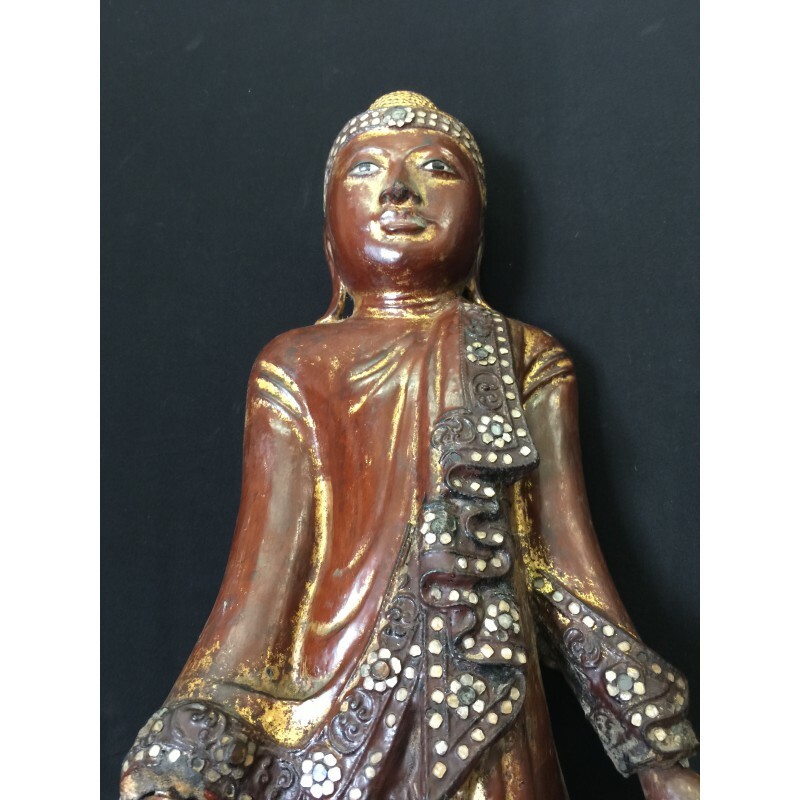 This Buddha is in very good condition with only minor cracks due to the age. 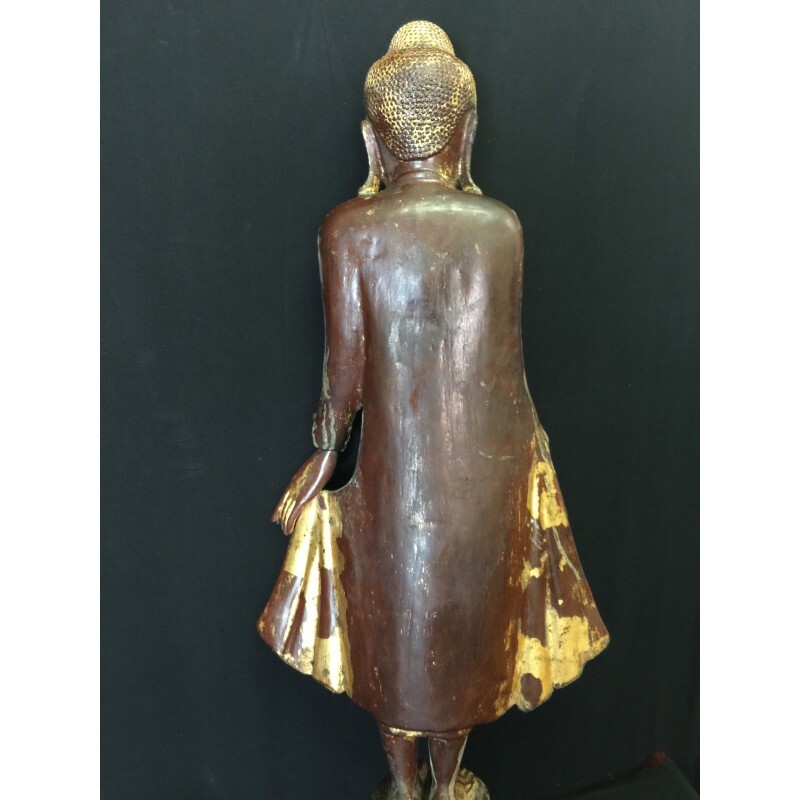 Age: End of 19th Cent. 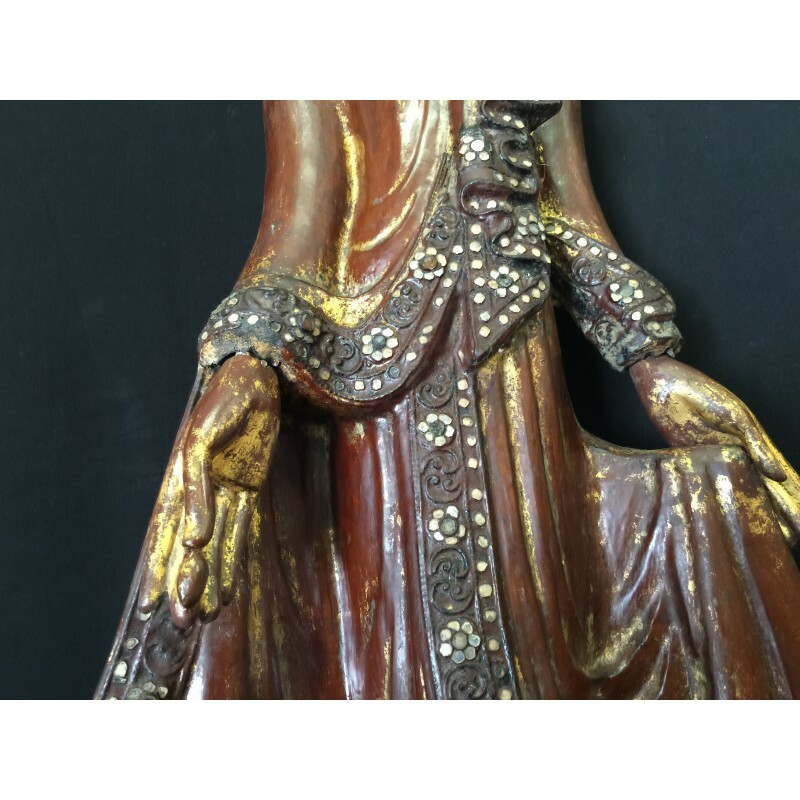 7 000,00 kr tax incl.